The course is designed for law enforcement officers who are required to make entry and secure a suspected clandestine laboratory prior to assessment and processing. The course includes a one-day review of the chemical and physical hazards associated with tactical response to methamphetamine and other chemically hazardous labs. The following three days involve practical scenarios utilizing Simunition guns along with lab safety equipment. Each of the practical scenarios will include the use of air purifying respirators and self-contained breathing apparatus while clearing a house and executing a search warrant. 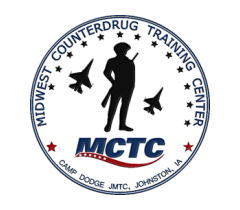 The course will provide officers with the techniques and survival tactics necessary to develop or compliment their present experience dealing with the mental and emotional states of the suspect and the unknown chemicals in a methamphetamine laboratory. Additionally, heroin/fentanyl entries and safety protocol are covered, and Butane Honey Oil extractions. Students do not have to have any prior clan lab training/experience. This class is for officers who are going to be making an entry into a suspected lab site or heroin/fentanyl location. Each hands-on exercise shall be followed by an after-action review of the students’ products in order to ensure all training objectives have been met. Tactical Entry to Chemically Hazardous Environments is a 4 Day (30 Hour) course.